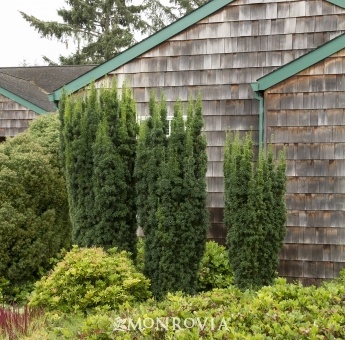 There’s no doubt that Emerald Green Arborvitae create the best evergreen screen for narrow spaces. However, they also happen to be the best snack bar for deer. So, while no plant is completely deer proof, these two varieties don’t set at the top of the deer food pyramid. 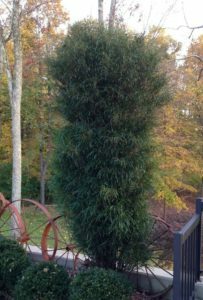 Taylor Juniper (Juniperus virginiana ‘Taylor’) – Reaching 15 to 20 feet tall and 3 to 4 feet wide, ‘Taylor’ Juniper is very comparable in size to Emerald Green Arborvitae. 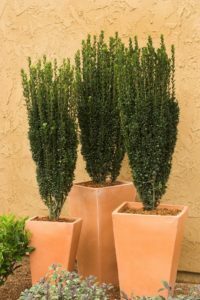 Like all Juniper, ‘Taylor’ requires sun and, once established, is extremely drought tolerant. Columnar Norway Spruce (Picea abies ‘Cupressina’) – This elegant evergreen is easy to care for with a moderately fast growth rate. ‘Cupressina’ tops out at 20 to 30 feet and reaches only 6 to 8 feet wide. Occasionally evergreens can feel a little overwhelming. Choosing a deciduous screen allows you to create privacy during the time of year you spend outside while allowing for more openness during the winter months. Columnar Hornbeam (Carpinus betulus ‘Fastigiata’) – So if you know anything about Columnar Hornbeam, you know that they can reach 30 to 40 feet tall and 20 to 30 feet wide. You’re also thinking that I’m a bit crazy right now for suggesting this and what part of narrow do I not understand? If left to its own devices, this hornbeam is far too large for many tight areas such as between your driveway and a neighbor. But, if your goal is to block your neighbor without offending them, this tree is for you. Hornbeam, when planted close together, can make an extremely dense screen. And when pruned into an English Hornbeam style hedge, give a jolly good, inoffensive send-off to your neighbor’s view. Yes, it takes time, it takes skill, and if you’re as lucky as Martha Stewart, a team of gardeners. But guys! So worth it! For those of you not feeling industrious enough to haul out the ladder to prune a large tree, Crimson Pointe Cherry (Prunus x cerasifera ‘Cripoizam’) would work for you. 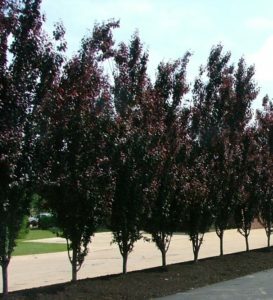 ‘Crimson Pointe’ creates an extremely narrow hedge or specimen at 20 to 25 feet tall and only 5 to 6 feet wide. White flowers are followed by glossy maroon foliage. This ornamental cherry likes full sun but can be grown in partial shade. Closely knit suburban landscapes often come equipped with a walkway along the side of the house. Many times the area left between these two spaces is relatively small. Perennials and groundcover tend to be the go-to choice for these areas. Shrubs that fit the width requirements, often have a height that is equal to or less than their width. There are times though when you need something taller. Either to hide the foundation of your home or to create varying levels of height. These shrubs will give you the height that you need. Hicks Yew (Taxus x media ‘Hicksii’) – ‘Hicks’ is a dense yew that, over many years, can mature to a height of 18 to 20 feet and a spread of 6 to 10 feet. 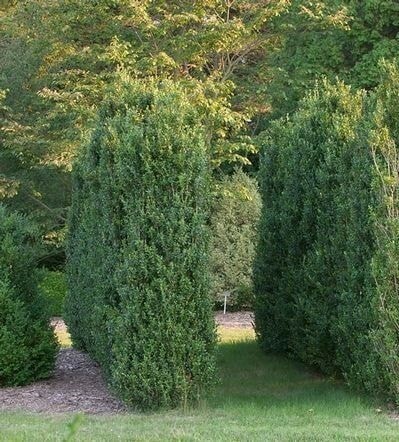 With a large pruning tolerance though, ‘Hicks’ Yew is often kept around 6 to 10 feet tall and 4 to 5 feet wide. Planted close together this yew makes a terrific hedge. ‘Hicks’ works well in both sun and shade. 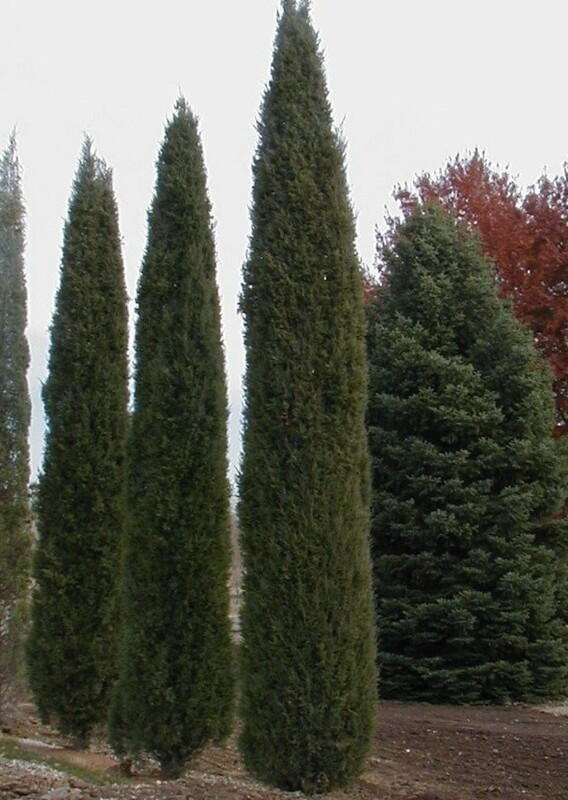 To prevent winter discoloration, place this evergreen in a location protected from winter winds. Sky Pencil Holly (Ilex crenata ‘Sky Pencil’) – At a slender 1 to 3 feet wide, this evergreen is perfectly suited for narrow locations. This easily pruned shrub can reach anywhere from 4 to 10 feet in height. 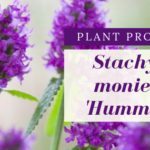 ‘Sky Pencil’ is a zone 6 plant and would work best-planted closer to the city in protected areas as opposed to West St. Louis County. If you live farther away from the city, a great alternative would be Graham Blandy Boxwood (Buxus sempervirens ‘Graham Blandy’). 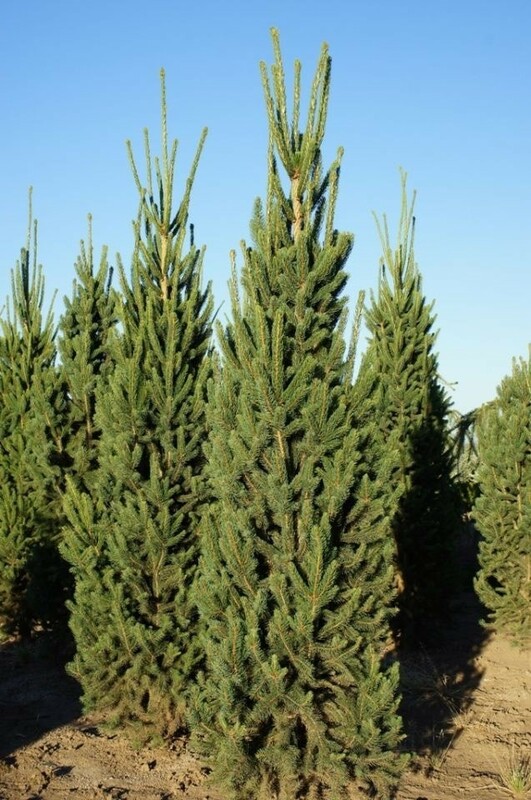 This evergreen is extremely columnar at 2 feet wide and reaches 8 to 10 feet tall. Fine Line Buckthorn (Rhamnus frangula ‘Ron Williams’) – The fern-like deciduous foliage fo ‘Fine Line’ Buckthorn offers a soft and somewhat exotic feel to the landscape. ‘Fine Line’ is slow growing and likes full to partial sun. It grows 5 to 7 feet tall and 2 to 3 feet wide. This columnar shrub is deer resistant. 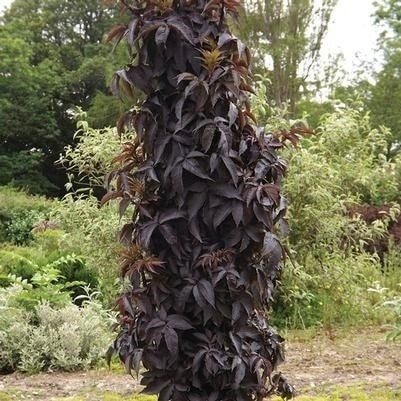 Black Tower Elderberry (Sambucus nigra ‘EIFFEL 1’) – I’ve touted this guy’s wonders before HERE and seriously can’t get enough of it! I won’t lie, ‘Black Tower’ doesn’t look like much in a container when young and is often overlooked at nurseries. But, with delicate burgundy foliage and pink flowers, this shrub is well worth the wait. It likes partial to full sun and only reaches 6 to 8 feet tall.